Since making our announcement on last month's blog post, we've received some requests from our customers who would like to get to know the Woolery's new owners just a little bit better. 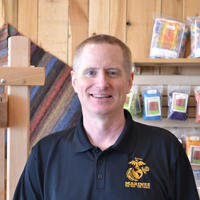 Wave and Perri are very excited about owning The Woolery and look forward to continuing the mission of providing a wide variety of quality supplies and equipment at a fair price to the fiber arts community. 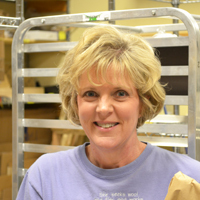 Perri will use her retail background to ensure that The Woolery continues to offer the best personalized customer service possible. In addition to rug hooking and cross stitching, Perri enjoys restoring antiques and assigning Wave “Pinterest Worthy” projects for their home. Wave’s marketing background will help ensure that The Woolery continues to lead the way in offering interesting and unique new products. Wave will also focus his efforts on the e-commerce experience offered by The Woolery. Wave’s outside interests include woodworking and photography. Married for more than 30 years, Perri and Wave have two grown sons and make their home in Lexington, KY. They look forward to joining you on your fiber journey! 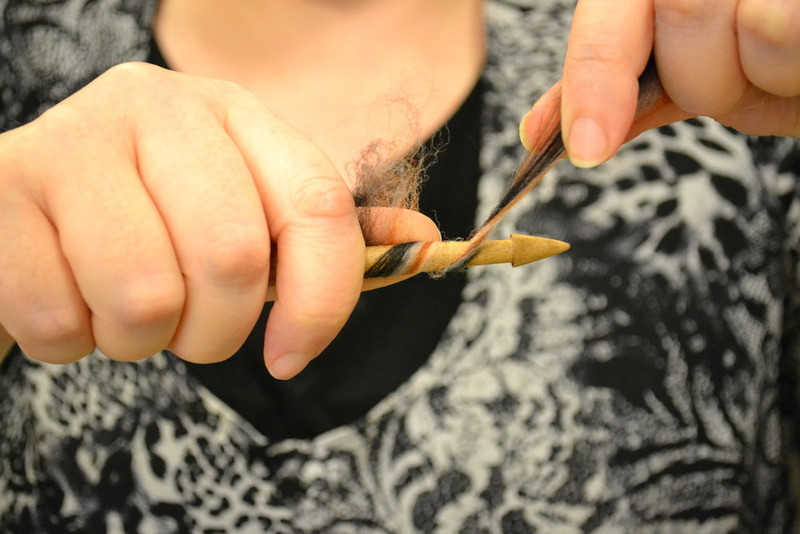 Being able to take your handspinning project with you wherever you go can be especially handy during the summer months. Vacations, picnics, and other outings don't have to mean that you leave your spinning at home! 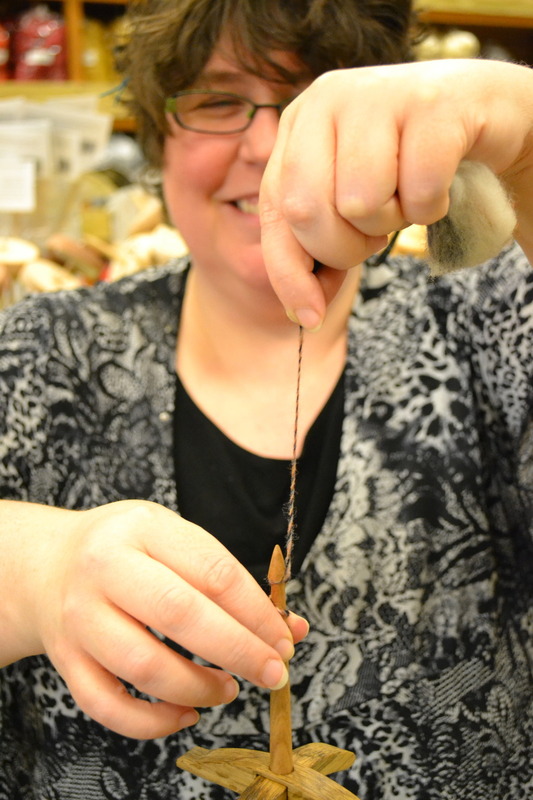 A Turkish drop spindle travels well and is quite easy to use - and when you're finished spinning or plying, the spindle slips apart, leaving your yarn in a neat ball that's ready to use! One of our own spinning gurus, Taevia, has a unique way of starting a spinning project on a Turkish spindle which doesn't require a leader. 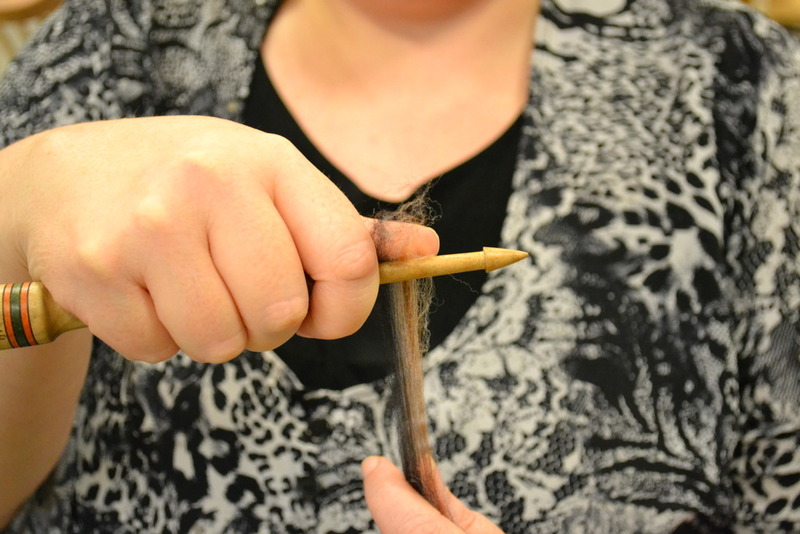 She has shared her step-by-step process with us this week so that you can give it a try, too! Step One: Begin with a small amount of spinning fiber. Gently wrap one end around top of shaft and secure with one hand. 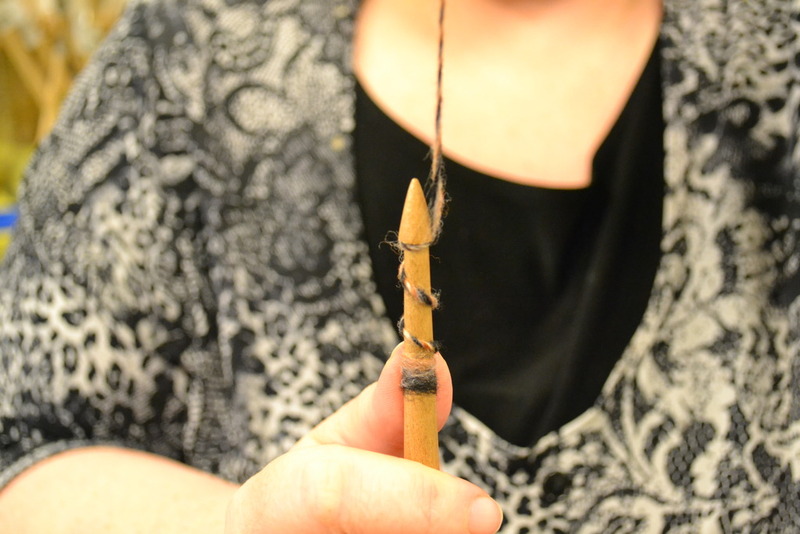 Step Two: Using your other hand, begin to draft out more fiber, wrapping it around the shaft a few times. 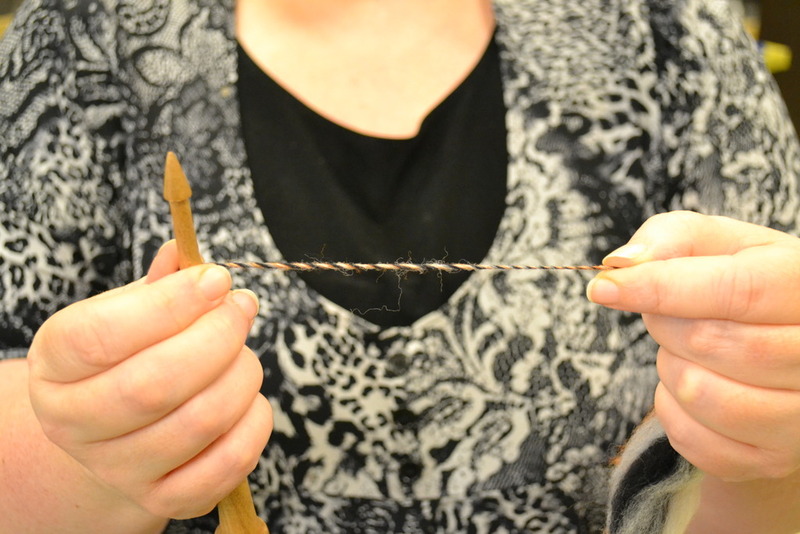 Step Three: Draft the fiber some more and introduce enough twist to produce a single ply in your desired weight. Step Four: Wrap your yarn a few more times around the shaft, then loop it over your index finger as pictured above to make a half hitch. Step Five: Place the loop over the shaft of the spindle and pull the working end of the fiber up - this will secure your yarn, allowing you to continue spinning! Step Six: Now you're ready to spin! 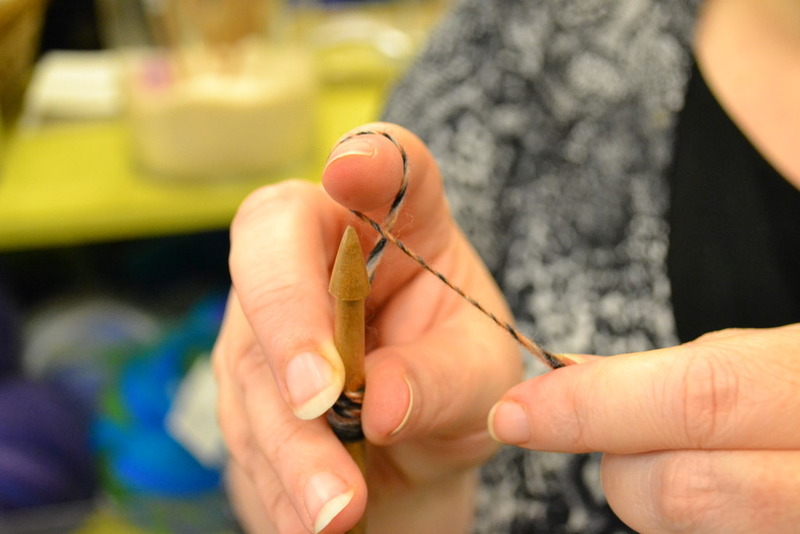 As you amass more yardage, you will need to wrap your yarn around the arms of the spindle. The standard way to do this is to wrap your single over two arms, then under one arm as you tension the working yarn and slowly rotate the spindle as you wrap. This will create a ball of yarn that is wrapped around the arms of your spindle, allowing you to fit a considerable amount of yarn on your spindle, depending on the weight of yarn you are spinning. When you have finished spinning or plying, simply remove the shaft so that you slide each arm out of the yarn ball you just created!